This is an authentic Bengali recipe of banana flower called mocha ghonto. 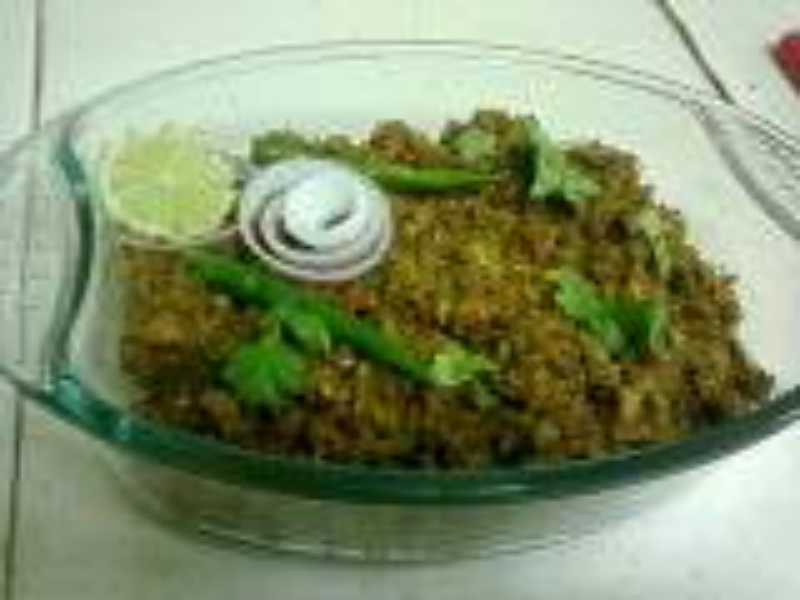 Here I tried it with keema and the usual black chana, potato and grated coconut. Heat oil and fry the potato cubes till light brown. Remove and keep aside. Temper the same oil with bay leaves, whole garam masala and cumin seeds. After they stop spluttering, add the chopped onions and saute till light brown. Add the ginger-garlic paste, tomato paste, coriander powder, cumin powder, turmeric powde, red chili powder and garam masala powder mixed with a little water. Fry till oil seperates. Then add the keema and continue to stir till dry. Now add the boiled banana flower, coconut and salt and saute till the moisture evaporates. Add 2 cups water and the fried potatoes and cook, covered till dry. Before removing, add ghee and serve, garnished with onion slices, green chillies, coriander leaves and lime.